I mentioned the other week that I had started reading this and was enjoying it so far... well I finished it, and it was ok. It didn't set my world on fire though. 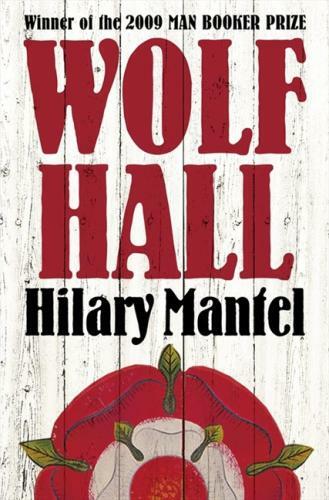 In Wolf Hall, Hilary Mantel brings the opulent, brutal world of the Tudors to bloody, glittering life. It is the backdrop to the rise and rise of Thomas Cromwell: lowborn boy, charmer, bully, master of deadly intrigue and, finally, most powerful of Henry VIII's courtiers. Now don't get me wrong, I did enjoy this book, it was really very interesting in historical terms. I did get a bit impatient towards the end and did sneak a peak at the entry for Henry VIII in my Kings & Queens Concise Guide (nerd? me? never!) to confirm what I thought I remembered from history. This is Mantel's imagining of Cromwell's life, a man of lowly standing, who through sheer cunning and smarts worked his way to one of the top spots in the kingdom. It was one of those books where you really had to dedicate chunks of time to reading it, for me, I couldn't just pick it up and read a chapter here or there. For starters, the chapters were quite long, but because of the style of the writing and language, and the sheer volume of characters, it can be hard to follow. If you enojoy fiction based around history and you don't mind a little bit of mild confusion at times, then you may enjoy this.